The Fort St. John North Peace Museum and the Alaska Highway Community Society have worked together to produce a book that compiles research and stories collected during the process to nominate sites along the Alaska Highway Corridor as a National Historic Site. 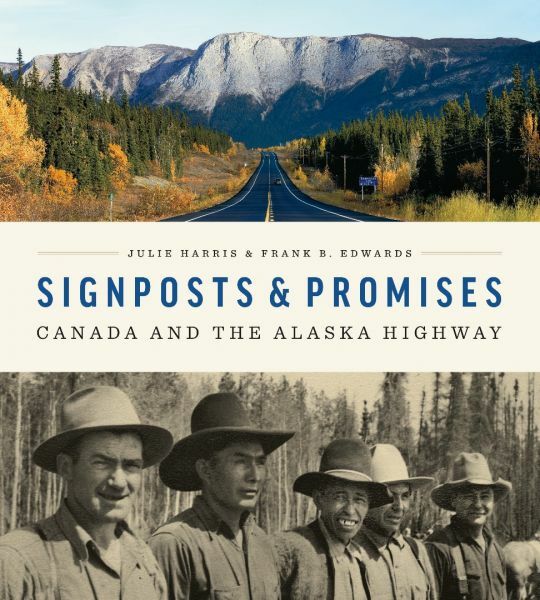 Written by Julie Harris and Frank Edwards, Signposts and Promises: Canada and the Alaska Highway is a beautifully designed and lavishly illustrated large-format book that celebrates the Alaska Highway’s extraordinary natural and cultural landscape. This book is now available at the Fort St. John North Peace Museum and is priced at $29.95.